Ricardo Mayorga is Fighting This Weekend?!? Briggs Seekins April 6, 2018 Boxing, Headlines No Comments on Ricardo Mayorga is Fighting This Weekend?!? I cannot emphasize this enough. If you are a serious boxing fan and have a few minutes to spare at some point during your week, you need to check out the weekend boxing calendar on Boxrec.com. More often than not you’ll find at least one curiosity and/or blast from the past. 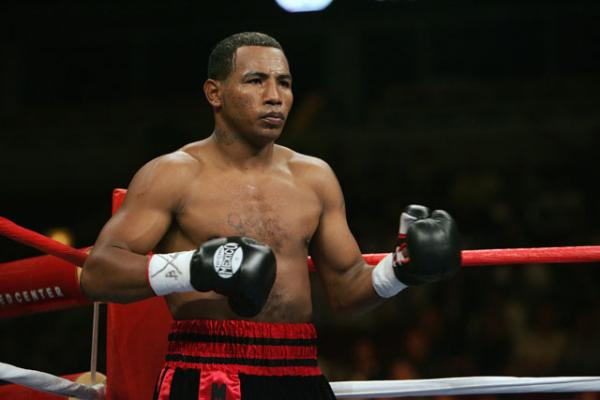 This week it is news that Ricardo Mayorga is slated to take the ring this weekend in Laredo, Texas. At 45, Mayorga has not really been relevant in about a decade. Still, if you were going to pick a fighter likely to keep battling into his old age, Mayorga is a good bet. There are boxers and there are athletes and then there are simply hard-nosed, tooth-and-nail fighters. Mayorga falls into this last category. He was never the most gifted athlete and did little to maximize what natural gifts he had–the Nicaraguan native is notorious for chain-smoking his way through press conferences, even lighting up during the minute between rounds. Mayorga is a rarity among fighters who reached world-class status in that he lost his professional debut. He stopped eight straight opponents after that, then lost two more, including a decision to an 8-8 opponent. But by 2003 he had emerged as a true contender, stopping Vernon Forrest in Round 3 in January of that year. This was a monster upset–Forrest was undefeated, coming off from back-to-back wins over Shane Mosley. Mayorga won the rematch by majority decision. Mayorga was an entertaining fighter in the ring, but his brash personality outside the ring drew even more attention. His press conference prior to fighting Fernando Vargas is among the wildest in boxing history. The two were separated by a plexiglass window. Mayorga repeatedly called Vargas a “fat girl” and promised to win all the Mexican fans over to his side after he knocked Vargas out. The ensuring bout was a war, won by Mayorga by majority decision. On Saturday night, Mayorga will face Rodolfo Gomez, a complete non-entity based out of Laredo. This bout has no relevance for the big picture in boxing. But if I lived within a two-hour drive, I would be there. I’d go at least that far just to watch Mayorga pick fights in the alley outside of a pool hall.